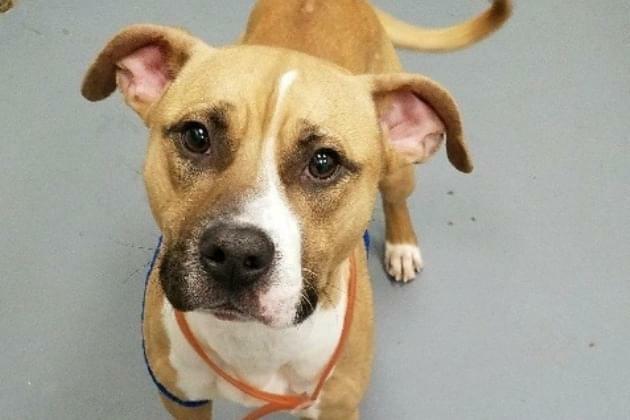 Recently we have teamed up with SAMS-Stray Animal Midway Shelter for our pet of the week feature, known as “Rockin Paws”, where we update you on a dog or cat that is looking for a place to simply call home. Adoption is amazing because SAMS can match you with an animal that is perfect to your lifestyle. They know these pets and can tell you their personality, and needs. They can tell you if they are good with children, need a lot of exercise, are lazy bums and just want to snuggle all day and that’s something you can’t get from buying. You CAN find puppies, you CAN find kittens, you CAN find purebreds but most of all you are SAVING the life of a furry friend. Peaches was one of our very first ‘Rockin’ Paw’ features, and unfortunately she still is calling the shelter home. We have a pretty awesome adoption track record so we would really like to get Peaches into her forever home. Peaches is only 2 years old and quite beautiful, don’t you think? SAMS is not sure of her breeds, there are probably several in there. We can tell you she is about 45lbs of nothing but love. She’s a happy gal, very loyal but would be best in home where she is the only dog. If you want to see Peaches in action be sure to watch our Facebook Live video below or you can also always see her at SAMS Rescue, 328 S. Pinkerton Rd. Hanna City during adoption hours.